Lynne Sholler has been a licensed Colorado attorney for over 25 years, practicing primarily in employment law in which she’s handled hundreds of cases. She founded her own law firm in 1995, then founded Employer’s Advantage, a human resources consulting firm, in 2001, both of which are now merged with Sholler Edwards, LLC. 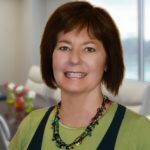 Lynne provides employment law and HR advice from prevention through litigation for-profit, non-profit, government and educational entities in the Four Corners region.